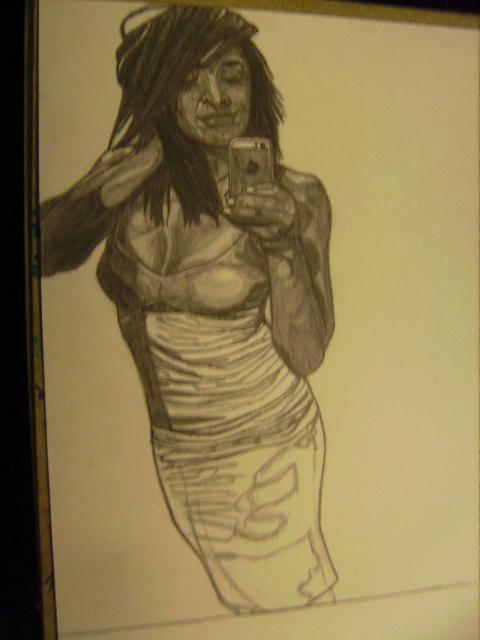 Over the past week or so, I’ve been plugging away at this sketch of New Zealand-based future wrestling legend Evie. A short while ago I finally, mercifully finished. Not that I can actually explain how I shade with so much detail (pretty much completely self-taught), but I grabbed progress pics after each session. Just thought it might be fun to show it in various stage of completeness here on the ol’ blog. So here now is Evie, in five excruciatingly long steps. 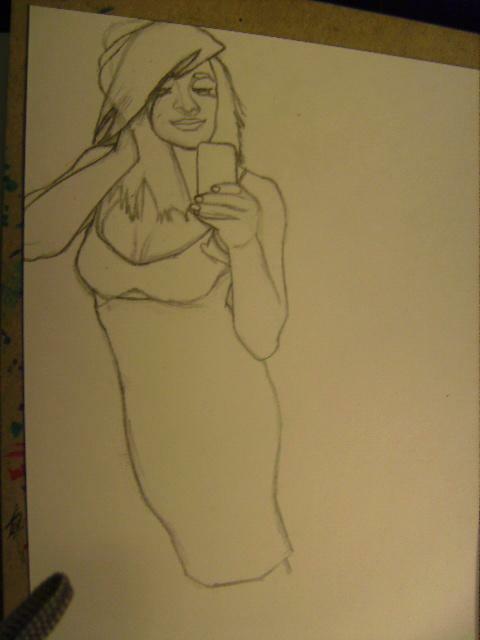 Step One: Just a semi-rough outline with minimal detailing.. 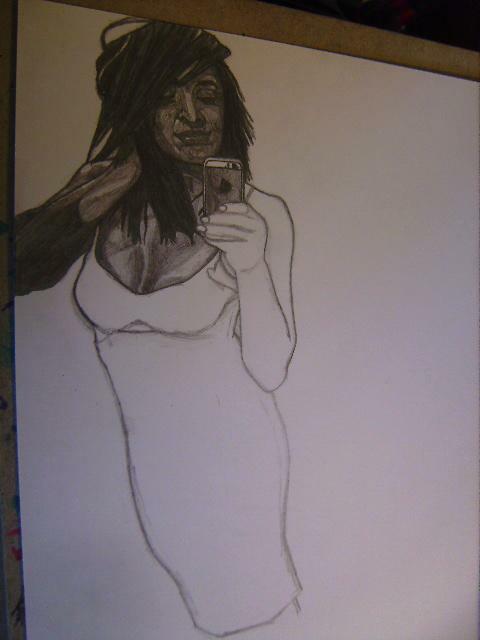 Step Two: The first section of shading. Gotta start at the top and left because I’m right-handed & don’t use a glove or anything, so it’ll get messy if I don’t.. 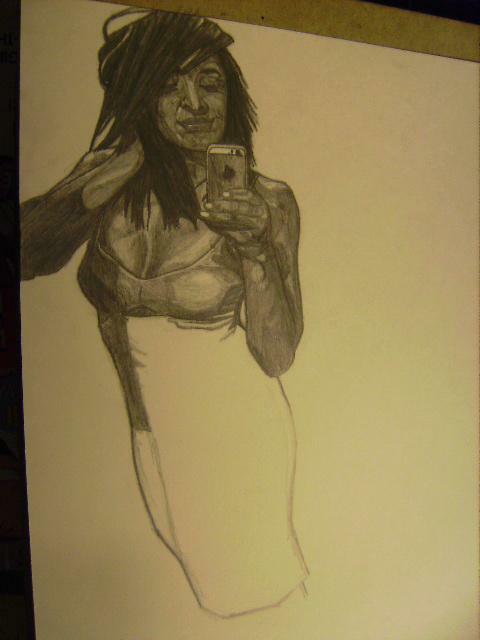 Step Three: More shading. Top to bottom, because the lower half is about to get hella complicated.. Step Four: Roughing out the folds in the fabric. So many folds. So, sooooo many folds.. 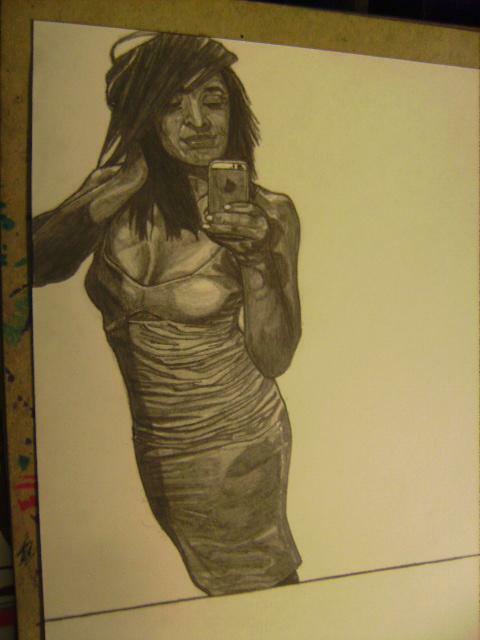 Step 5: Tightened the folds, finished shading dress, tightened up other lines, touched up shading in places, and voila… Done! And there you have it! A complete sketch of one of the coolest and most badass wrestlers in the business, in classy mode, I guess you’d say. That’s all for this post. Thanks for stopping by! This entry was posted in My Art and tagged art, artist gonna art, badass, beautiful women, drawing, Evie, me make pretty, New Zealand, pro graps, sketches, Team F'n Kick!, Team Kick, wrestling.